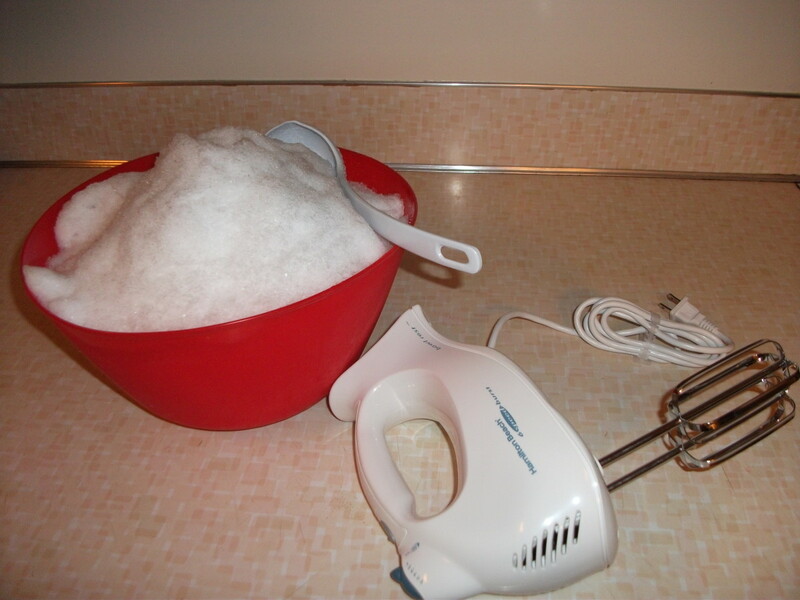 From the first sizzling summer I remember to well into adulthood, warm weather gatherings meant hauling out the crank-driven ice cream maker and a big bag of rock salt. Dad let us kids crank while the going was easy, but as soon as the shaft began to stiffen, he'd take over with his big, strong arms. We'd all hover around, waiting for that first fluffy taste of ice-cold vanilla cream. Nothing so good! Nowadays, we can make ice cream in counter-top appliances like the gorgeous, brilliantly red ice cream maker from Cuisinart, which is my personal choice of maker. It takes less than five minutes to stir up a batch of old fashioned vanilla, mint chocolate chip, pineapple sorbet, strawberry cream, or almost any other flavor. Relax 20 minutes while the machine does the work. First-time using an ice cream maker like mine? You’ll find step-by-step instructions with pictures after the recipes. On this page, you'll find six easy recipes you can whisk up in a flash. They're my family's favorites. I hope you enjoy them as much as we do. I've also included a few hand-picked, home-tested accessories that'll make your life easier if you frequently make ice cream. 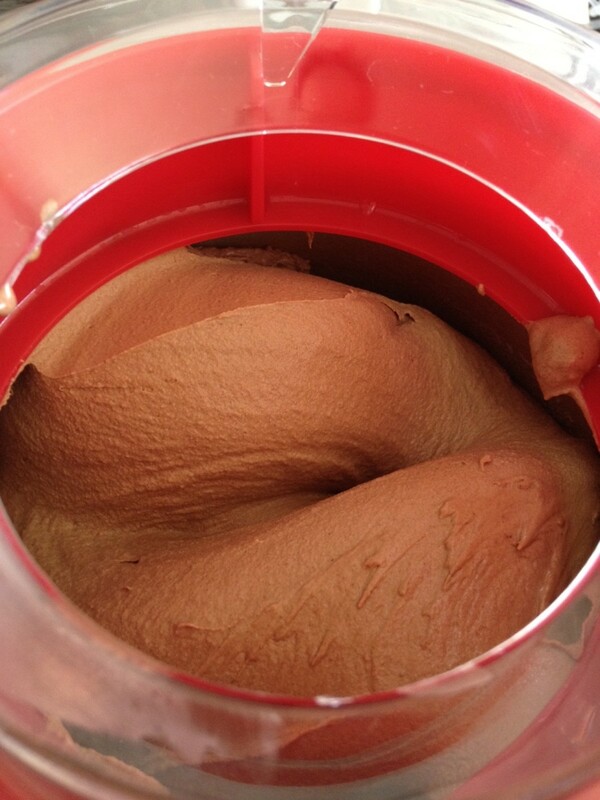 The first time you use it, freeze the ice cream maker’s bowl for 16-24 hours. Then store it in the freezer so you can make ice cream any time. Whisk the sugar and salt into the milk until dissolved. Add the cream and vanilla extract, stirring to combine. Chill covered, 1 hour, up to 24 hours. Freeze 20 minutes in ice cream maker, as directed in the how-to section later on this page. We use organic ingredients to avoid GMOs, to avoid hormones in our dairy products, and to protect the soil, water, and air, as well as the workers who plant, tend, and harvest the food we eat. The yogurt gives the ice cream that delightful frozen-yogurt tang and makes it all the creamier; plus, you and your family benefit from the good enzymes and bacteria it contains. 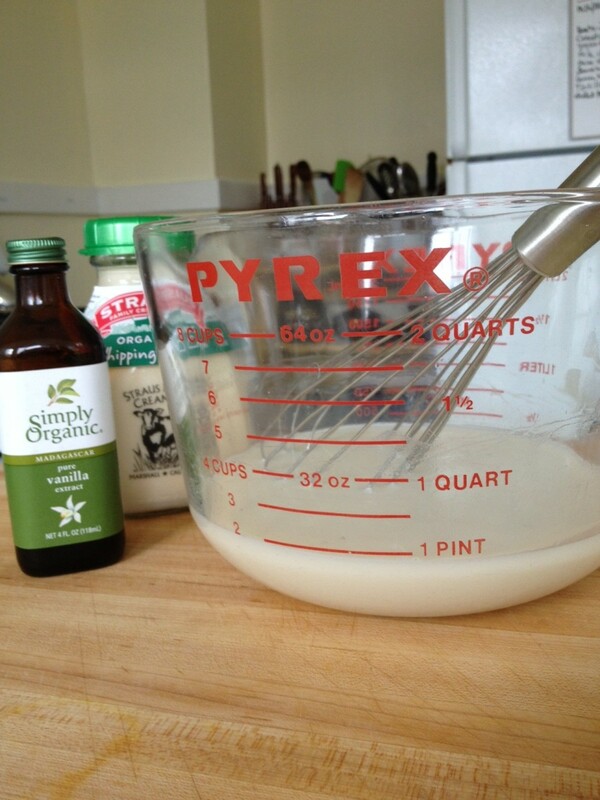 Whisk the sugar and salt into the yogurt until dissolved. Freeze 20 minutes in ice cream maker, as directed in the how-to section earlier on this page. Concerned about BPA and pthalates in your food? Store your leftover ice cream in easy-to-scoop glass tubs. This set gives you three scoopable glass options for saving the leftovers. The tubs, with their silicone lids, freeze well, although you do have to handle any glass jar more carefully than plastic. I tried various jars before I found these, and they are by far the best solution for ice cream. Do remember, when freezing in glass, to leave a good 1/2-3/4 inch clearance at the top for expansion. This is a fun confection the little ones especially enjoy. I use Whole Foods Organic Gummy Bears from their bulk food section. 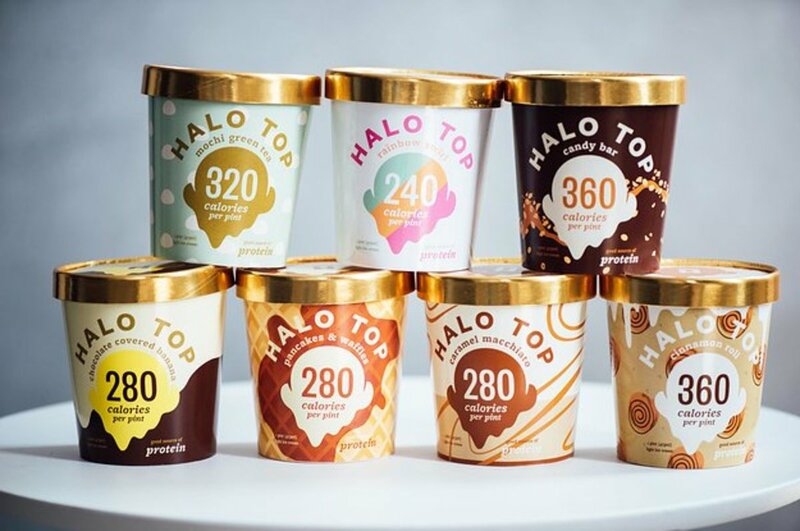 The flavors absolutely pop when you bite into a piece, making the ice cream a treasure hunt for the best bites. If you find the gum drops sticking to your blade, try dusting them with a little sugar periodically while chopping. Whisk together milk, sugar, and salt till all is dissolved. Add cream, vanilla, and orange extract (if using) to milk mixture, and whisk till combined. Cover and chill 1 hour, up to 24 hours. 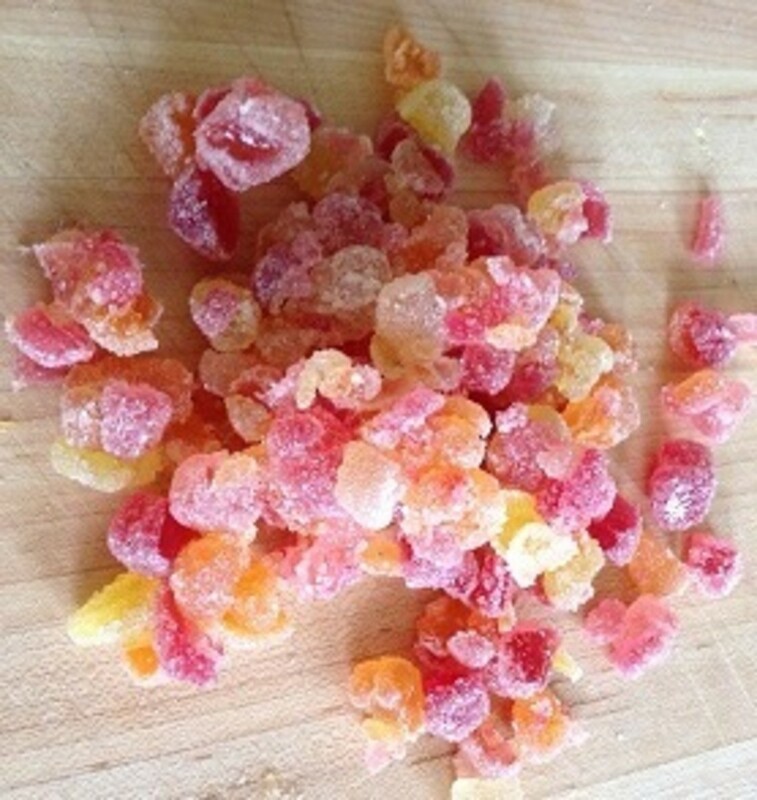 Meanwhile, chop gum drops to very small pieces, dusting with the 2 T sugar as needed to keep them workable. Spread pieces on chopping block to dry a bit while the mixture chills. You want them not to clump when you add them to the ice cream mixture. Set aside. Freeze mixture 20 minutes in ice cream maker, as directed in the how-to section earlier on this page, slowly adding candy in last five minutes. Serve immediately, with one or two gummy bears or gumdrops for garnish. 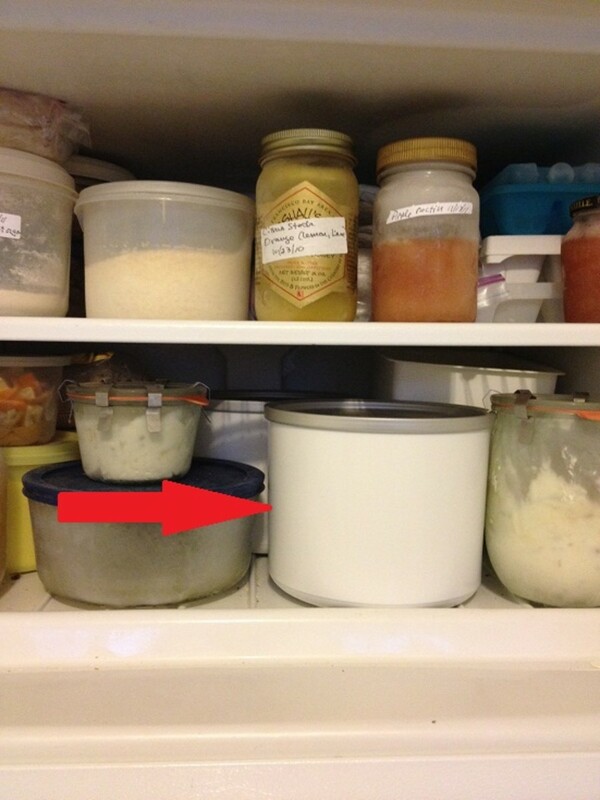 Freeze any leftovers in chilled air-tight containers. This is the recipe I'm asked for most and is our personal all-time favorite. Nothing beats the combination of creamy vanilla, chocolate, and mint. Add cream, vanilla, and peppermint to milk mixture, and whisk till combined. Cover tightly, and chill cream mixture 1 hour, up to 24 hours. Meanwhile, shave 1-2 ounces dark chocolate, and set aside. Freeze slurry 20 minutes in ice cream maker, as directed in the how-to section earlier on this page, slowly adding candy in last five minutes. Serve, and eat immediately. Freeze any leftovers in chilled air-tight containers. Would you like to see the ice cream maker in action? This is another of our favorites. The hardest part about making ice cream in the Cuisinart is deciding which flavor to make and what goodies to add! We like this one with nuts too—peanuts, almonds, walnuts, hazelnuts, pecans. They're all good! Whisk together cocoa, sugars, and salt, mixing thoroughly. Add milk, and whisk until dry ingredients are completely dissolved. Add cream and vanilla to milk mixture, and whisk to combine. Cover, and chill 1-2 hours, up to 24 hours. 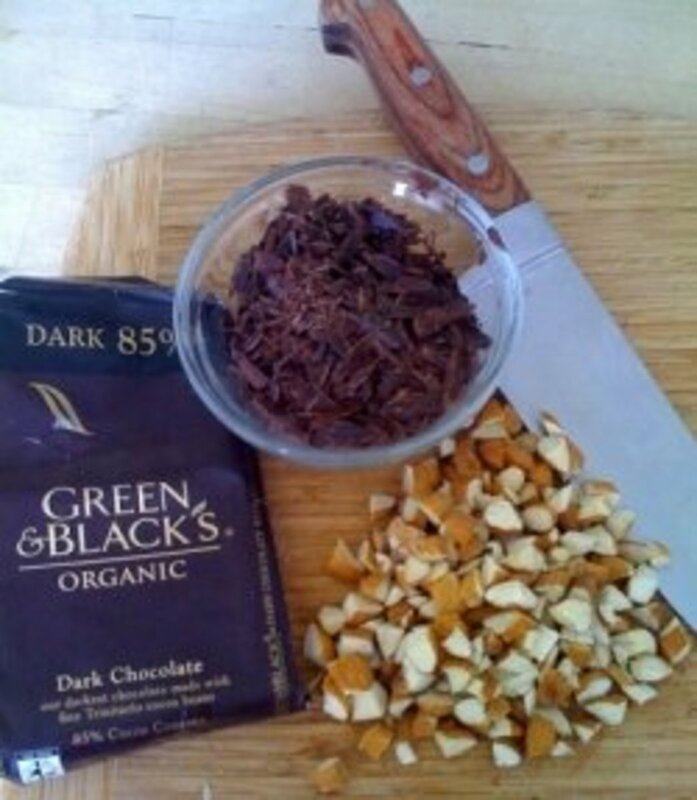 Meanwhile, shave 1-2 ounces organic dark chocolate and set aside. Freeze slurry 20 minutes in ice cream maker, as directed in the how-to section earlier on this page, slowly adding candy, and nuts if using, in last five minutes. Serve immediately. Will be soft-serve consistency. If prefer a firmer texture, pour into a bowl, cover, and freeze for two hours. Have a plate handy when the timer goes off. Lift the lid, and pull the dasher out carefully. Now, this is where you can have a little fun. Give the dasher plate with a spoon to your sweetheart or the birthday kid, and let them lick it clean while you dish up the bowls. Another original recipe from my kitchen to yours: fruity, nutty caramel ice cream crunch, made with a salty-sweet, organic gorp. Whisk together milk, sugar and salt till all is dissolved. Add cream and vanilla to milk mixture and whisk till combined. Cover tightly and chill mixture at least 1 hour, up to 24 hours. Meanwhile, coarsely chop trail mix and set aside. We prefer a salty, mixed-nut trail mix with small bits of raisins and cranberries, but do experiment with your favorites. Drizzle 1 T caramel sauce over each 1 C serving and begin moaning and groaning, er, eating immediately. Freeze any leftovers in chilled air-tight containers. Your ice cream maker comes with an ingenious 1-1/2 quart freezer bowl like the white one in my freezer, shown below. Freeze the bowl for 16+ hours prior to making ice cream. If it's not that solid, it won't turn your creamy mixture to ice cream. Next, stir up a batch of ice cream slurry from the recipe book that comes with the maker, or try one of mine on this page. Cover and chill the mixture in the fridge for one hour, up to 24 hours. If the container is airtight, you can leave it longer, such as overnight or up to 3 days. When you're ready to make ice cream, place the frozen bowl on the machine, slip the paddle in, pop the clear, plastic cover over the assembly, hit the on button, and pour the ice cream mixture through the top opening in the lid. Optional: Set a timer for 15 minutes, if you're adding chopped nuts, candy, or fruit. Add the candy slowly during the last 5 minutes processing. If not adding candy, nuts or fruit, set the timer for 20 minutes, and walk away till it's done. That's all there is to it! We like our ice cream fresh, soft-serve style. If you like it hard, you'll want to transfer it to a freezer container, and freeze for a few hours. Step One: Freeze Your Bowl. Mix and Chill Your Ingredients. Step Two: Put the Bowl in the Ice Cream Maker. Step Three: Pour Your Mixture in the Bowl. Step Four: Prepare Any "Extras" You Want to Throw in in the Last Five Minutes. Which recipe would you like to make tonight? Do you have a recipe for a chocolate malted milk ice cream with chopped malted milk balls in it? No, but I’d try that in a minute if I could find some organic, Fair Trade chocolate malted milk balls. I miss eating those out of hand. They’d be wonderful in ice cream, wouldn’t they? I’d chop them coarsely and add them in the last five minutes, as I do other ingredients, and see what happened. How long do you freeze the slurry mixture before pouring it in the freezer bowl for the Cuisinart ice cream maker? Please don’t freeze the slurry before putting it in the ice cream maker! 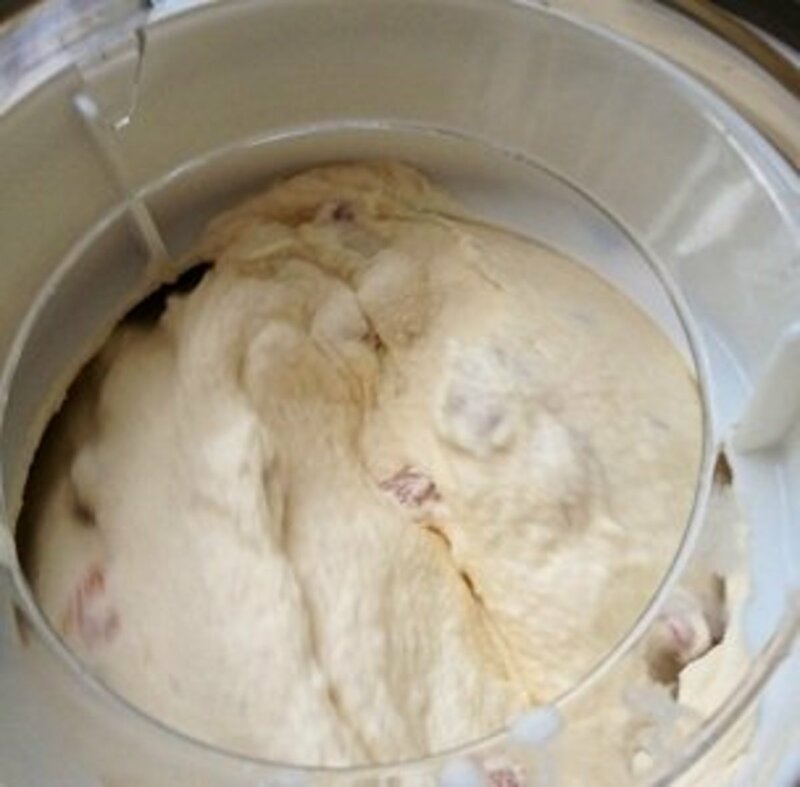 If you have the same ice cream maker I have, then see Step 3 In the section titled “How to Make Ice Cream in Five Easy Steps,” or follow your ice cream maker manufacturer’s instructions. For my maker, as noted in Step 3, the slurry must be chilled in the refrigerator for at least an hour, and can be chilled up to 24 hours. 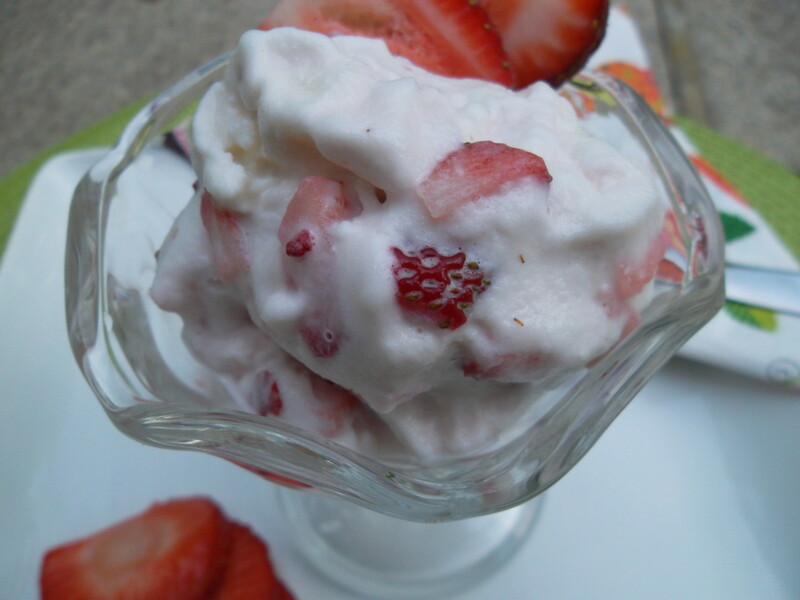 Have you made strawberry ice cream in your Cuisinart machine? Yes, I have. The first time, I quartered fresh strawberries and added them in the last five minutes of churning. They turned hard as rocks. The second time, I cut them smaller, sprinkled them with sugar and let them sit for half an hour till they were somewhat syrupy, then poured them in during the last five minutes. That was much better. Incidentally, I reduced the sugar in the ice cream mixture by an equal amount so as not to add more sugar to the overall dessert. 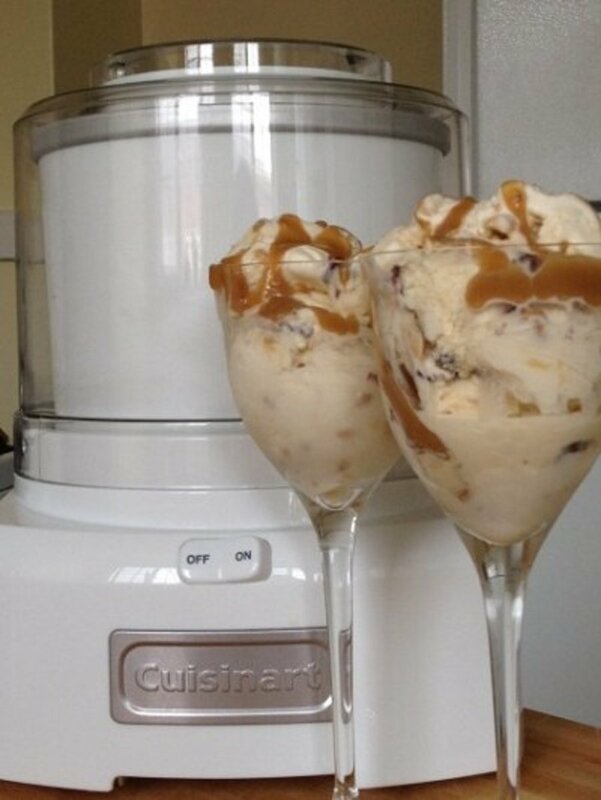 Can you use almond or coconut milk to make ice cream with the Cuisinart machine? How would you make ice cream recipes more sugar-free? We like real sugar in our ice cream so I have not tried sugar substitutes. Two-thirds of a cup is what works for us. I have experimented with using less, but always come back to this measurement. I may try substituting raw agave syrup for sugar sometime, as it is said to have a lower glycemic index, but I haven’t done so yet. 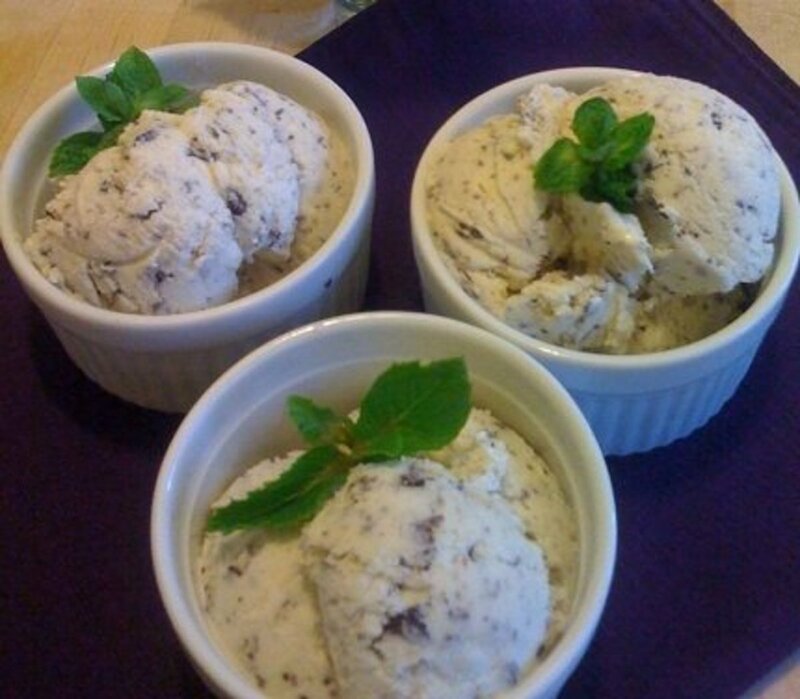 How do you make ice cream that is dairy free with the Cuisinart ice cream maker? Can you use almond milk or cashew milk? Can you substitute skim milk for whole milk when making ice cream? I imagine you could. Early on, I tried replacing the cream with whole milk. I also tried increasing the whole milk portion and decreasing the cream portion accordingly, but we didn’t like it much. This ratio of cream to milk is the only one that satisfies our taste buds. This way we get the creamy smoothness and flavor of real ice cream with fewer heavy cream calories and a little more milk protein. If you don’t need all that creaminess, skim milk might work for you. With no fat, you might have problems with ice crystals forming, but that’s just a suspicion on my part. I have no experience to back it up. Share your all-time favorite ice cream, or any other thoughts you have about this page. You’re welcome! Thanks for taking a look. I have yet to make homemade ice cream but maybe I will one day. Your recipes look nice! Thanks so much for sharing. Hmmm. That is something I’ve never had happen. My ice cream always freezes within twenty minutes. Since my ice cream maker is now several years old, I wonder if the instructions for freezing the bowl may have changed. Perhaps your model requires more than 24 hours in the freezer? May I suggest contacting the manufacturer’s help desk? I’m sure they’ve dealt with every kind of problem, and there’s always a chance the freezer bowl itself is defective. I followed the instructions about prepping my bowl in the freezer, made my ice cream mixture, chilled overnight, took out the bowl from freezer and my ice cream never even got to be ice cream....just cream for over 1 hour of churning, what did I do wrong? Not frozen thebowl for or more days??? You could try it, but I doubt the ice cream would taste very good. On the other hand, the beauty of making your own is using ingredients you prefer. If you’ve trained your taste buds to like skim milk, you might not miss the extra boost whole milk gives. I once tried using half and half in place of the heavy whipping cream, to see if I could shave a few calories without sacrificing taste. What a disappointment! But then, it’s the cream in ice cream that I go for. Can you use skim milk instead of whole? Any reason for the raw sugar? Could I substitute regular sugar here? Thanks for sharing I would love to make these in summer.. Now I really want some ice cream to go..
My pleasure! Thanks for taking a look at my recipes! Now I want some ice cream, great recipes! Thanks! @JayeWisdom, in an already amazingly good day, I am thrilled to find another organic-foods/reusable-glass-bowl hubber. Thank you for your kind words--"joy to read"--what writer could ask for more? You are SO thorough, and your recipe hubs are much more than 'recipes.' They're a joy to read. I'm pleased that you recommend organic ingredients and glass bowls because I, too, avoid pesticides, BPA and pthalates. Bravo! Thank you for your kind words, @Brite-Ideas. This machine certainly gets a lot of use at our house. Almost as much as our stove-top popcorn popper. @DeborahDian Wonderful! I always enjoy hearing how people change them up, so please, don't be shy. I have one of these ice cream makers. I will have to try out some of your recipes! Thanks @rms! I hope you will come back and share your thoughts after trying one or two of them. I'm open to suggestions. I've been looking for some new ice cream recipes. I can't wait to try these! @Corrinna-Johnson Sometimes I wonder if we're related, we think so much alike! Hope you get to try the Mint Chocolate Chip recipe soon. @Ruthi: Mmmm. French vanilla is one I haven't done yet. Gotta try that. I bought some peaches today, but I have a feeling they will be noshed before I can get them into a baking dish! I am rather boring as I prefer French Vanilla ice cream. I would sure like that peach-berry crisp alongside it too! Ice cream makers are so useful - especially in hot summers. 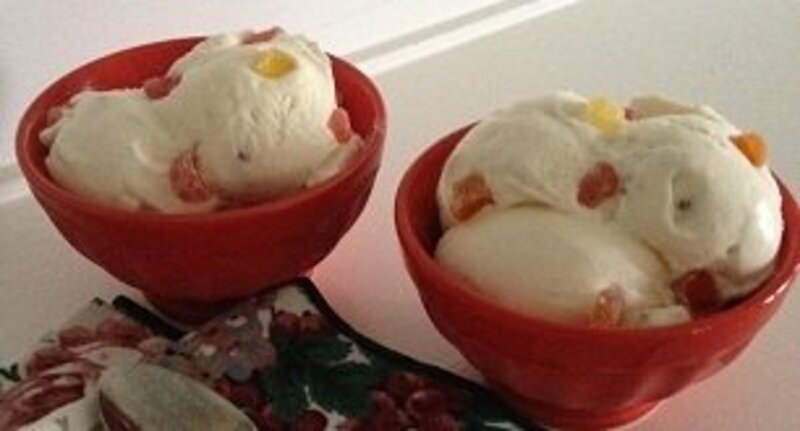 I love doing homemade ice cream and these recipes sound absolutely divine! Thank you for posting them! @tazzytamar: You're welcome. Do let me know if any of them become family favorites, or if you find one that was a bomb, or how you tweak them. @Merrci: I often feel that way when I read your recipe lenses. All so good! @Margaret Schindel: Thank you, Margaret. So often we are on the same foodie page, yes? We've had an electric ice cream maker for many years and there's nothing like homemade ice cream... unless it's homemade gelato or sorbet! ;) We adore mint chocolate chip and praline ice cream, and the fresh peach I cream I made years ago was simply out of this world. Your recipes sound divine, as usual! Wow, I want one! How fun to make you own, and what a complete article to show us how. I feel like taking a bite from your photos! @SheGetsCreative: Okay, it's almost noon here, but your suggestions make me want to jump up and stir up a batch of each! Thanks for visiting. @esp1489: You're welcome. I probably keep my freezer colder than you do yours, as I always have to let any ice cream rest before scooping. Frozen solid! @DeborahDian: We certainly enjoy ours. Let me know if you get one and you try these recipes. I think I need one of these ice cream makers. These recipes sound wonderful! @esp1489: Good question. Store bought ice cream is just as hard in my refrigerator-top freezer as my homemade ice cream, but I must admit I have never experienced "soft" store-bought ice cream. Whether store-bought or homemade, we always let the ice cream sit on the counter-top for five minutes before scooping. @norma-holt: I understand. I do experiment with low-fat yogurt recipes from time to time, but since we only let ourselves have ice cream a couple of times a month these days, we usually like to go back to the real thing. Wonderful recipes and great story. I have given up on ice cream as its too fattening and now I stick to the yogurt. Doesn't mean I wouldn't try any of these goodies though. @Nancy Hardin: You're welcome, Nancy. We never tire of trying new recipes and revisiting the old favorites. I have to limit us to one batch a week. @paulahite: Thank you so much! Fun to see it there, and it reminded me that I'm missing out on a lot by not taking a look over there more often. Good stuff! LOVE me some ice cream! I shared your lens on our G+ page too! @smine27: It's pretty scary, how easy it is to have delicious homemade ice cream, but we have learned to pace ourselves. It is our special Friday night treat. The machine has paid for itself many times over, given how expensive we find those little pint tubs of organic ice cream. Thanks for the visit. I just love ice cream! 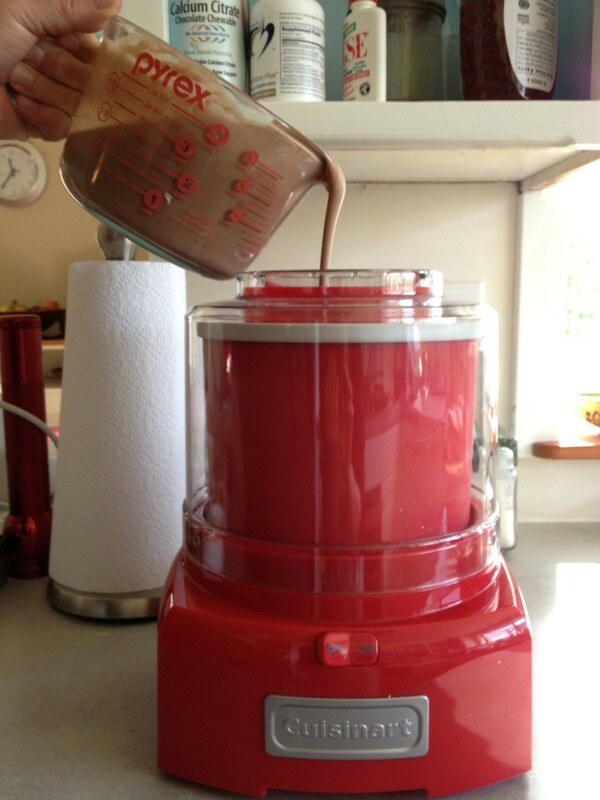 If i had this ice cream maker, I would probably make ice cream everyday! @amytrumpeter: Do let me know if you do! Or send a pic and I'll post it here. Mmmmmm, I love chocolate ice-cream! I would love to make it in the cherry red ice-cream maker! Fascinating lens and great ideas and suggestions , all the more reason to purchase one just in time for Valentine's Day . I Love chocolate chip Ice cream! Homemade is the BEST! No Chemicals! Like Food Grade Anti-Freeze! Yuk! @Nomadabstracted1: You're welcome. 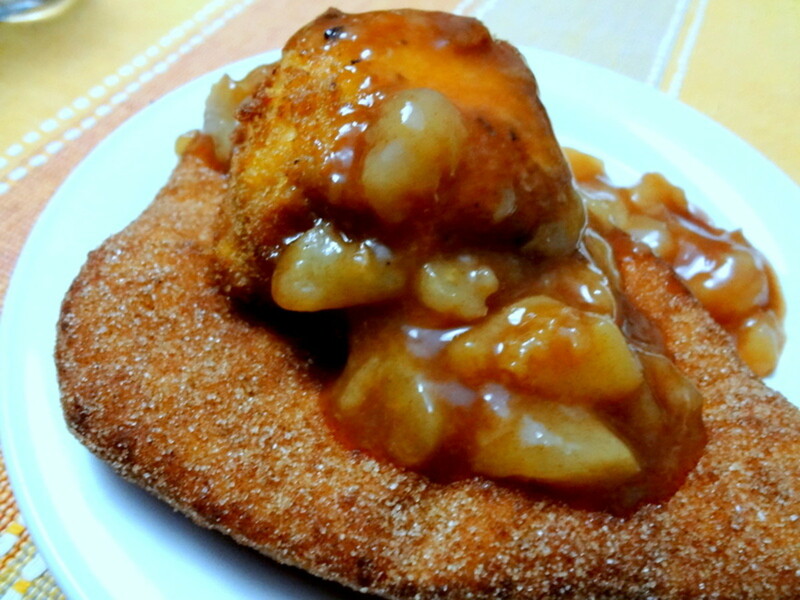 Let me know if you share your recipes here on Squidoo, once you start making your own! I love ice cream! And, I've been looking for a good ice cream maker to make my own. Thanks for the great idea! @anonymous: I totally get that! 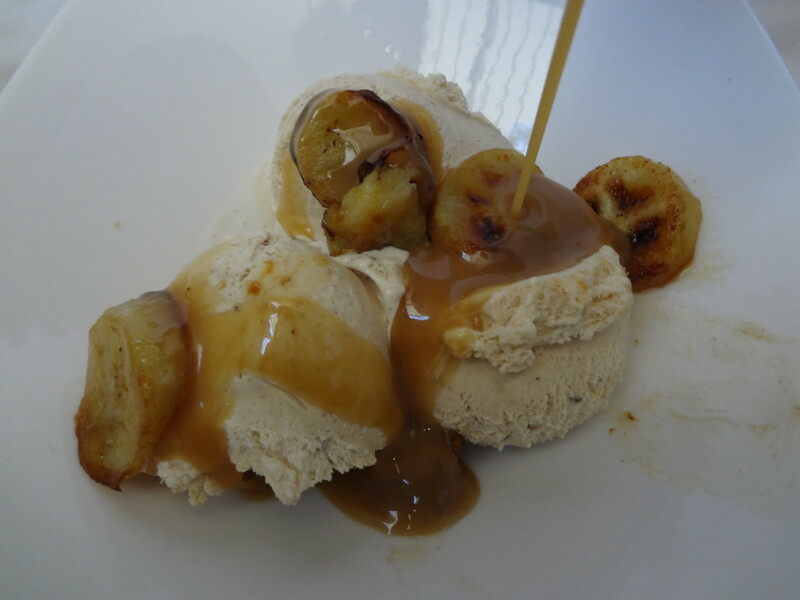 @GetAcneFree: If he loves ice cream and loves tinkering with recipes, he's going to love it! @captainj88: Wow. So many fun flavors! I'm going to have to try developing a ginger root flavor. Love that stuff! @tfsherman lm: Do come back after the holiday and let me know how they like their ice cream makers! @JoshK47: Thank you for the blessing, Josh! Always a pleasure to see your moniker and image on my lenses. Who wouldn't love an ice cream maker? I love cookie dough, or brownie - or both. After all, if you're gonna go unhealthy, you may as well go all out. ;) Blessed by a SquidAngel! What a great lens -- now I know what I'm getting my daughters for Valentine's Day, thanks. My favorite ice-cream of all time is Yarnell's Cotton Candy, made in Arkansas, where I went to college. Haven't had it since I graduated. In Puerto Rico I had Beans and Rice ice cream, and a delicious Ginger flavor that was loaded with fresh, snappy ginger root. You certainly know how to sell a product! All these ice creams look so good, who wouldn't want the ice cream maker that can make these yummy concoctions. @Jogalog: If you build a lens about any of your fruit flavored ice cream recipes, do come back and let me know. I'd love to see them! I love all ice cream..haven't found a favorite one yet! I love any fruit flavoured ice cream. I already have an ice cream maker but if I didn't I would be so happy if I was bought this for Valentine's Day. 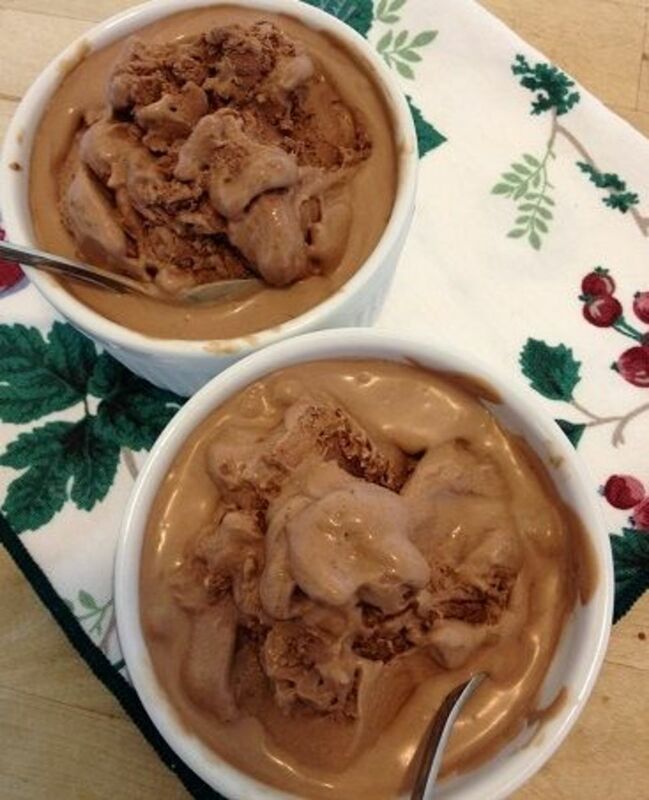 @Scraps2treasures: Oh man, chocolate peanut butter ice cream sounds so good. I must try some recipes with that combo! I think my all-time favorite is just a really good vanilla. Although I do like cookies &amp; cream. @AngelaKane: Do let me know what you decide and how you like your choice in the end. I surely do love mine! My favorite ice cream is chocolate. I want to make my own ice cream this summer and the Cuisinart ice cream maker seems like one of the best ones on the market today. Anything chocolate is good for me. @NuttSoRuff: I know! It's so hard to choose sometimes. Vanilla bean is always good but chocolate is one of my faves! Coffee ice cream is always a good one too. @A-Marie: You're gonna love it! I just put this on my want-it list. 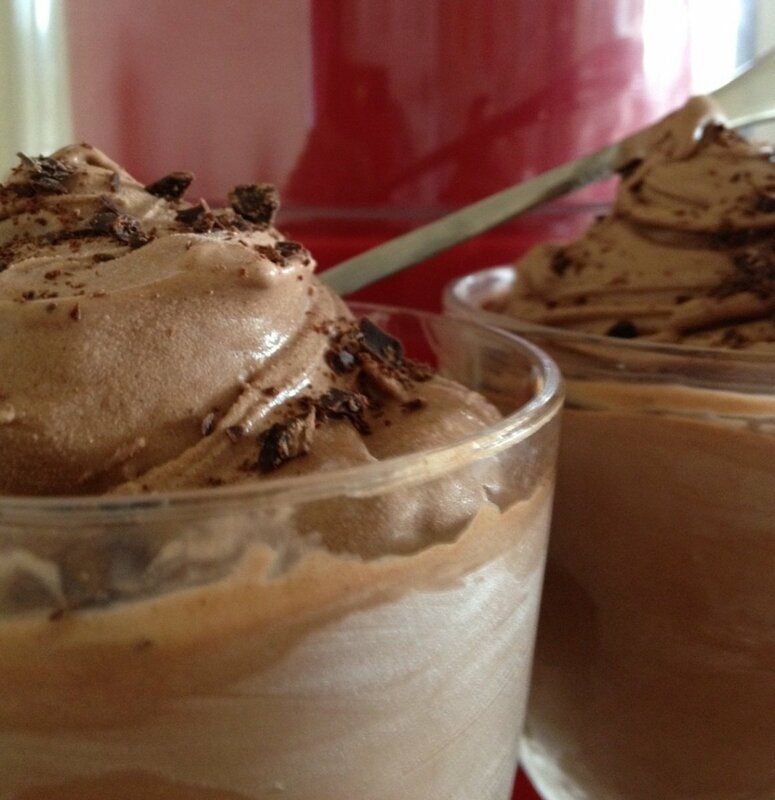 Fabulous Lens - thanks for the great recipes - I got to get a Cuisinart Ice Cream Maker! @MichaelDubrovnik: Usually, whichever I'm eating at the time is my favorite, but I agree, vanilla is always high on my list! I love making homemade ice cream, and these new colorful Cuisinarts are amazing!!!! I love the lime green one the best!!!! Vanilla - evergreen, ageless, delicious for male. My favorite ice cream might be Mint Chocolate. I think the Cherry Red Cuisinart Ice Cream Maker beats the heck out of a dozen roses for Valentine's Day! 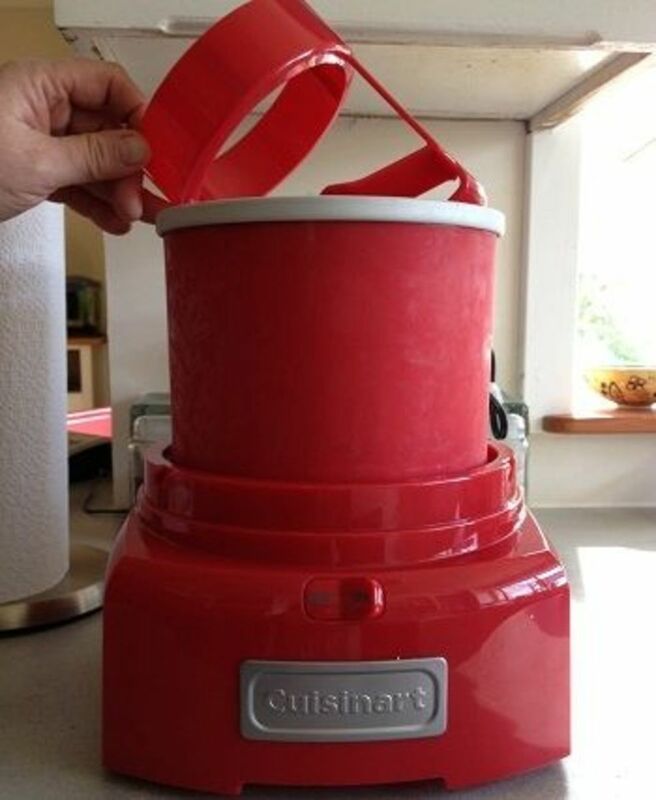 This The cherry red Cuisinart Ice Cream Maker looks wonderful. @CampingmanNW: You're welcome! Thanks for the visit! Everyone loves ice cream...thanks for a fun lens. I like these gift ideas! Thanks for sharing. You've added the perfect product for at home ice cream. Good Lens! it sure looks easy! 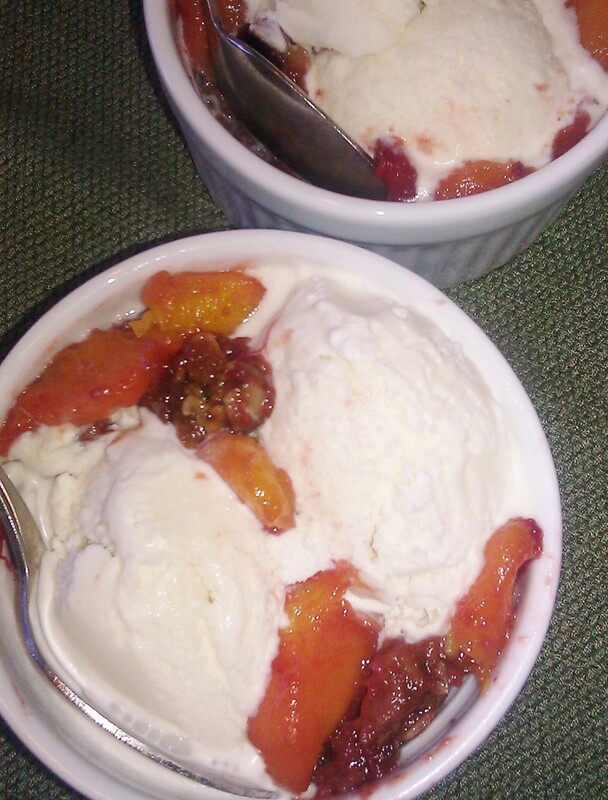 the one with warm Peach Berry Crisp looks so good! My favorite ice cream is Blue Bell Cookies 'n Creme. The little creamery in Texas makes the best ice cream in the world. They have seasonal flavors (like vanilla and peach) that rank very high on my list of decadent delight. I would love any of the ice cream treats featured here. Delicious! @sarakastic: I'm visualizing a kitchen with a turquoise ice cream maker, and the image I get is a mixture of trendy and retro, and cheerful! Let me know which recipes you like best, and how you change them up! I have this ice cream maker but it's in turquoise, can't wait to try these recipes! I love ice cream, another awesome topic by you, congrats on being featured on the homepage. I just bought a cherry red ice cream maker for a new bride. I should have purchased one for myself, too, but I bought the white one last year. You are an ice cream maker after my own heart with your wonderful ingredients. Bang goes my diet! Cherry is my absolute favourite - probably in a pie, topped with a good dose of vanilla ice-cream. These recipes look yummy. Thanks! What a sweet ice cream lens. I like vanilla and mango flavor topping for my ice cream, and with some peanut.